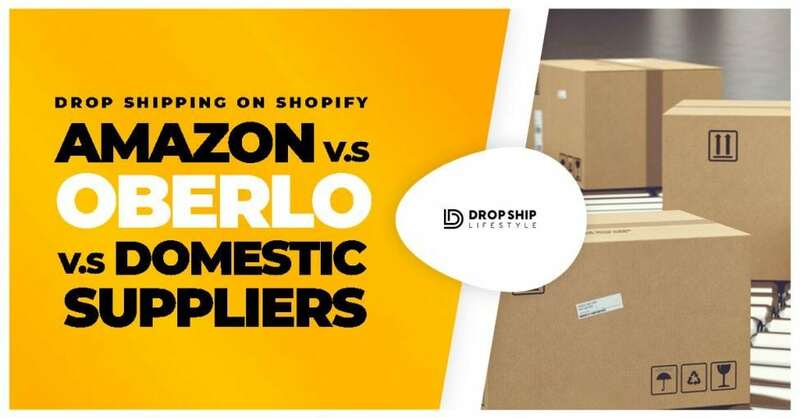 There's a lot of confusion about the differences between Oberlo, Amazon, and domestic dropship suppliers. But all we’re really talking about is different ways to fulfill orders on Shopify. The main goal of this article is to show you which dropship supplier is best for building a real brand that provides real value to your customers and to your bank account. We're not going to focus on building burner stores that will make you some money for a few weeks. We want to build a dropship business that’s going to grow and compound over the years and still be a business that you'll be proud to call your own 5-10 years in the future. If you're serious about eCommerce, which I assume you are since you're reading this article... the first question you should ask yourself is, "What's the most important factor in building a long-term brand?" I get different answers to this question all the time. People say getting good traffic or having good dropship suppliers. 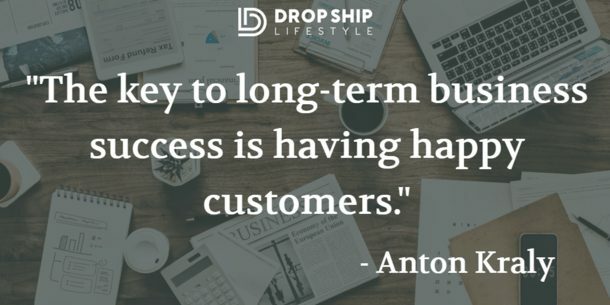 But the key to long-term business success is having happy customers. When people actually trust you enough to give you their business, they have to actually like what you provide them. This leads to long-term success. Not only because they’ll leave positive reviews, but because they'll talk about your business. This adds up over the years. You'll get bad reviews and people will tell others not to trust you which won't lead to a long-term business. So if you want to have a store that stays around for awhile, you need to keep your customers happy. Let's give an example of the shopping experience. Let's say our customer's name is Sarah. She's on the internet and sees your ad then lands on your Shopify store. Once she places her order, we have a few different options to fulfill the order. one of them is Amazon. You could go to Amazon, buy the product and have it shipped to Sarah. You could also have Oberlo linked to your Shopify store that would be fulfilled from a third party supplier, most likely from China. The last option is a domestic supplier, which means that they are based in the country you're doing business in. First, the buyer will go to your website, place the order, and you get the money in your bank account. Then you’ll go to Amazon and buy that item for your customer at a cheaper price. This model is called arbitrage. This model can also use eBay and Walmart, instead of Amazon. But it isn't sustainable because you don't have relationships with suppliers, so you can't be sure that products will stay in stock, or hold at a certain price. Arbitrage also has a lot more manual work for small profits. When you order the products from Amazon, you have to private message the sellers and ask them to not include any slips, invoices, and packaging from Amazon. Otherwise, your customer will receive something from Amazon, becoming confused and angry. There's also no barrier to entry. If you found something very profitable to sell, you would have a ton of competition because literally anyone can do this at a moment’s notice. While this technically still is drop shipping, it has too many issues for it to be a viable long-term solution and I don't recommend it. You could build a Shopify store and import the products you want to sell from Oberlo, linking those products to your store. The buyers will find the products on your site and place orders, then you process the order on Oberlo. Oberlo then sends the product to your customer. But Oberlo isn't a supplier, they're a middleman between the manufacturers and your store. They have a ton of suppliers, causing a lack of consistency in quality. If you deliver a bunch of defective items the customer will send them back to you, not Oberlo. Then you have to return them directly to the manufacturer. We call this the 'drop shipping from China model' because most of the suppliers are based in China when using Oberlo. One of the biggest problems is that you're always chasing trends to catch a hot product for a few weeks. Think of products like fidget spinners. After a short time, your store will fizzle out. Most the products from Oberlo are both inexpensive and of sub-par quality. Overall, these products lack a lot of quality control. Not all of it's bad but most of the products suffer from inconsistency. There’s also no pricing control on Oberlo. They don't use minimum advertised price (MAP) which results in pricing wars and little to no profit. Another issue with the products found on Oberlo is that they’re usually generic with no branding. This may seem like a perk, but at Drop Ship Lifestyle, we believe that being retailers for brands is the key to long-term profits. Because these items are coming from overseas (usually China), there are long lead times. So even with the fastest shipments, you're looking at 10-days but it's usually more like 20 days for your customer to receive their items. Your customers don't want to wait that long for products. This leads to customers having a bad experience, leaving negative feedback, and filing chargebacks. There's also no barrier to entry, so it's highly competitive and there will always be a lot of people selling the same products. With all these issues I can't recommend this type of drop shipping. When I say domestic dropship suppliers, I mean using dropship suppliers from wherever you're selling. So if you're in Australia and you're selling in that market, use Australian suppliers. This lowers shipping time down to 3-5 days, resulting in happier customers and more positive reviews for your drop shipping business. It all starts with choosing a niche and building a store based on that product category. Avoid creating ‘shopping mall’ stores with a lot of different niches that aren't related. Once you find your niche, you look for people that already sell what you want to sell. These future competitors will have dropship suppliers and you'll get approved to sell their brands. This is somewhat of a barrier to entry because you have to talk with these brands and get approved to sell with them before you can start selling products. To me, this is a positive thing because it reduces your competition by adding a step. Once set up, the buyer will come to your site and purchase. Then your dropship supplier will process the order. The supplier ships the product directly to your customer and you keep the difference between the item cost and your retail price. Besides much faster shipping times, one of the biggest benefits of the Drop Ship Lifestyle model is that if there are ever defective products, it can be directly returned to the supplier. You choose a niche & find your "future competitors"
Like the other dropship suppliers, there are a few issues with this drop shipping model. Before you turn on your store, you spend a lot of time doing niche selection and market research upfront. You'll also have to build your website before you have suppliers so that you can show them where you'll be selling their products. There’s a lot of effort put into building relationships with suppliers and you won't likely get approved immediately. This model is all about building long-term businesses that need time upfront to develop. Since this builds a real brand that has long-term success, I recommend this model. Have you tried Amazon or Oberlo dropship suppliers? Let me know in the comments! Thank you so much for the info you are offering. It is very useful and I appreciate your style of providing it ( not wasting time)…there is too much info out there and little time. I will try to attend your webinar, but I am also trying this way, as your webinar is around 3 a.m. for me and I might not be able. I understood a long time ago that this is not about Amazon and just recently that it is not about Oberlo either and that it is about local suppliers (in my country) or in my case, manufacturers. 3.I don’t know how to find them, besides obvious basic reasearch on internet…but I am not a specialist , so I don’t know which /how is best to choose? Wow,thanks for the info you have been wonderful so far. Pls I have a question, after doing market research and then finding and getting approved by suppliers can I use oberlo to now automate the upload of their products on my site or do I have to continue doing the upload and description manually without any hope of some kind of automation? It’s important to note that all suppliers will have their product files in different formats so they will have to formatted to meet Shopify’s specifications. This isn’t hard to do, but it does take time. This is very actual. I spent long time and effort with shopify and Amazon and o results. All of the above happen to me. I’m sorry to hear that! Unfortunately, it’s a story I’ve heard it time and time again via email and FB messages from those who find Drop Ship Lifestyle after losing money with that business model. If you ever want to get started again, I will be here to help! I really like how you present this. Thank you for all the information I have learned. I would like to purchase your program but I have spent 4000.00 on ASM and 2500.00 on another. Hopefully when I save enough I will purchase your program. I get that this is the real deal, not fake. Thanks for the kind words, Karen! I’m glad to hear you’re getting value and that you can see that Drop Ship Lifestyle is legit. I hope you are able to recoup your investments from those other programs and I look forward to working together in the future! 1) You only work with local or domestic suppliers, correct? Does that mean all of your *customers* are also local/domestic? Or do you have international customers as well? They rank better in a country you sell in. Q1) You only work with local or domestic suppliers, correct? Does that mean all of your *customers* are also local/domestic? Or do you have international customers as well? A1) 99% of the time the answer is yes. If you drop ship in the U.S., then your customers will almost always be in North America. If you drop ship in Australia, then your customers will almost always be in Australia. However, if you are drop shipping in the E.U., then it’s likely that you will ship to multiple countries. The main thing that will restrict where you sell to is shipping costs. When drop shipping internationally they often get so high that they cost more than the product itself. A2) If you’re selling the in the U.S. you should also do .com. In Hong Kong .hk, .jp for Japan, .com.au for Australia and so on. Hope that helps and good luck with your store! 1) Therefore, do you recommend to tell your customers on one’s store right away something like “only for North America shipping cost is resonable, for other regions it’ll be too expensive. We only recommend that our clients from North America buy it”. Or should I run my store normally and not to specify at all that shipping price will be reasonable only in my region where I have a supplier — North America or Australia or E.U., etc… ? We actually only advertise in countries to which we ship. And we only select shipping zones (in Shopify) as the countries to which we ship. We also put where we ship to in our FAQs page just in case anyone is curious… but it almost never comes up. I wish I understood dropshipping. I thought drop shipper has the products. Are you a drop shipper? 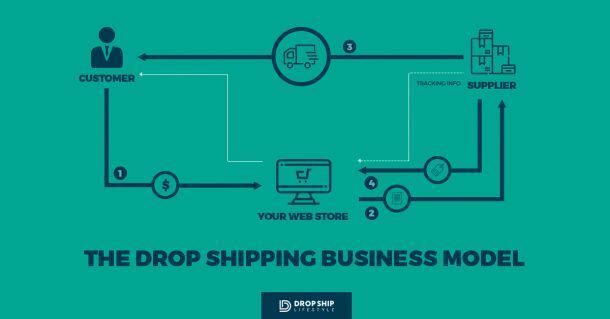 I’d recommend starting with this blog post I wrote called “The Ultimate Guide To Drop Shipping” if you’re brand new to this business model. It should provide some clarity to how this all works. Hi, I also believe that domestic is best, problem is how do you find the suppliers? Also, it is almost impossible to search in other countries (I am in UK) say if I want to target USA or Canada, Google make it very difficult to actually SEARCH in USA from UK. The browser redirects to UK, as if they are restricting access to other countries.I dont want to start on the fundamental problem of Google control over the internet, some 80+% now, but just commenting. So, first, is there any way to conduct reliable search overseas from home country in another country, and secondly, how can suppliers be found when doing so. If those 2 questions can get answered we might actually be able to start!. We cover where to find domestic drop ship suppliers in Modules 2 and 4 of the Drop Ship Blueprint. I’ll also cover this at a intro level on a free webinar that I’m hosting next Thursday evening. Also, if you want Google to “think” you’re in a different country so that it shows you their search results you will need to use what is called a VPN. I personally use one called Strong VPN but there are tons of options out there. I think Tunnel Bear is a good one that offers a free plan. Try it out and let me know if it works for you! Please do me a favor and share this blog post with anyone who you think would also get value from it. Great, I’ve already started the process of setting up a Shopify store with oberlo… and I am new to the dropshipping / e commerce as well. So, now what? I do have some product ideas and a specific niche I want to set up.. how can I go about changing this now that I have set up my current shopify site? The good news is that it’s easy to swap out products on your Shopify store! My advice would be to do just that… delete all the inexpensive products and “niche up” to high ticket products.